Martini livery? Check. 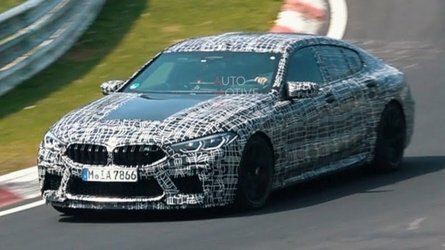 887 horsepower? Double check. 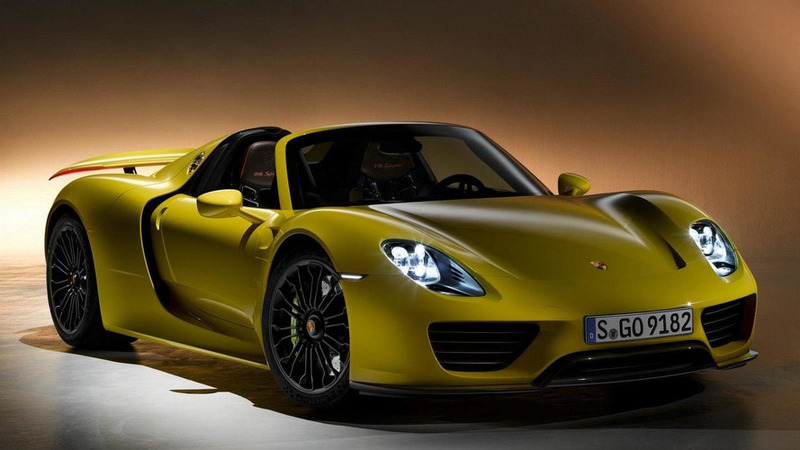 The Porsche 918 may be gone, but it certainly isn't forgotten. The hybrid hypercar hit the scene in 2013, and though it stuck around for just two years, made a name for itself against rivals like the LaFerrari and the McLaren P1. At a cost of $845,000 when new, it was relatively affordable in a class of million-dollar MSRPs. But more used models are showing up online, and they ain't cheap. 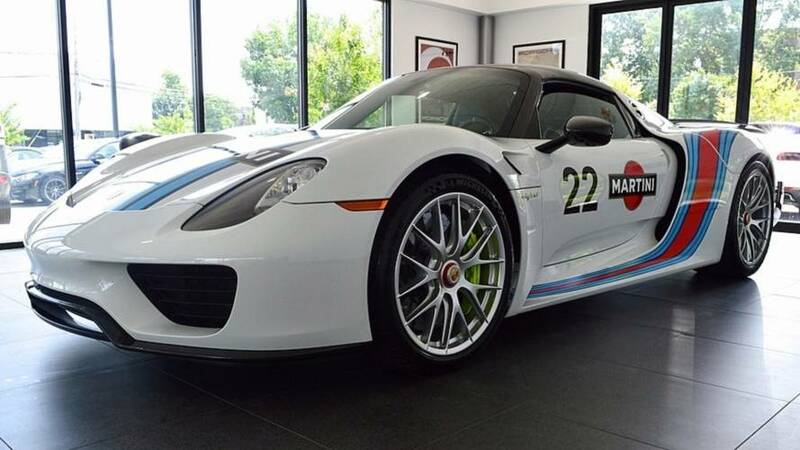 This particular example – a pristine 918 Spyder with the Weissach package – is up for sale on MotorGT.com through Porsche of South Shore, New York, and asks a hefty $2.19 million. But we'd argue it's worth the exuberant asking price. 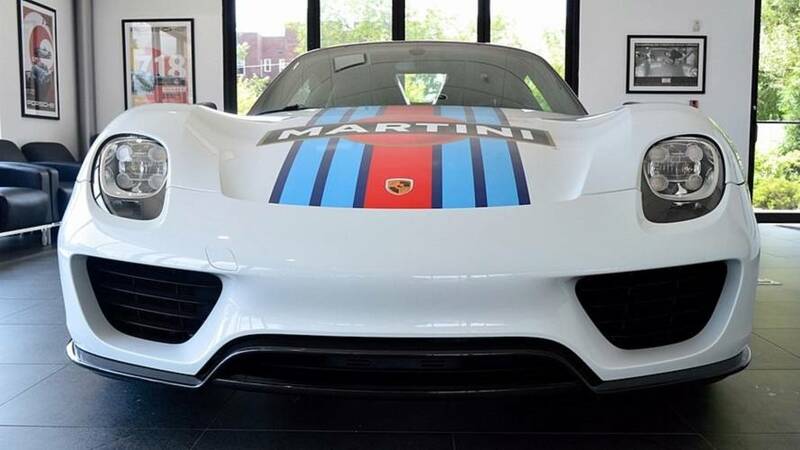 Finished in a handsome Onyx white paint job with a legendary Martini livery, the handsome hypercar has more than $85,000 worth of options. 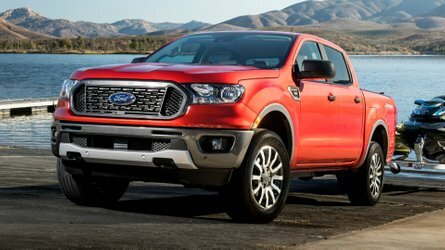 Things like magnesium Spyder wheels, lighter brakes, ceramic wheel bearings, titanium chassis bolts, and a bunch aerodynamic aids boost the asking price. Even more impressive is how lightly used it is. The odometer reads out just 45 original miles (72 kilometers) – delivery miles, to be precise. 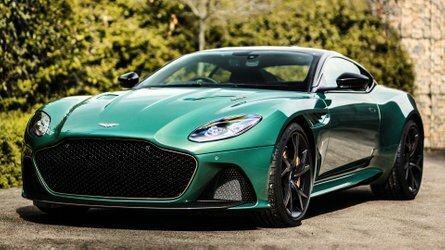 The 4.6-liter hybrid V8, paired with two electric motors, produces a whopping 887 horsepower (661 kilowatts) and 944 pound-feet (1,280 Newton-meters) of torque. 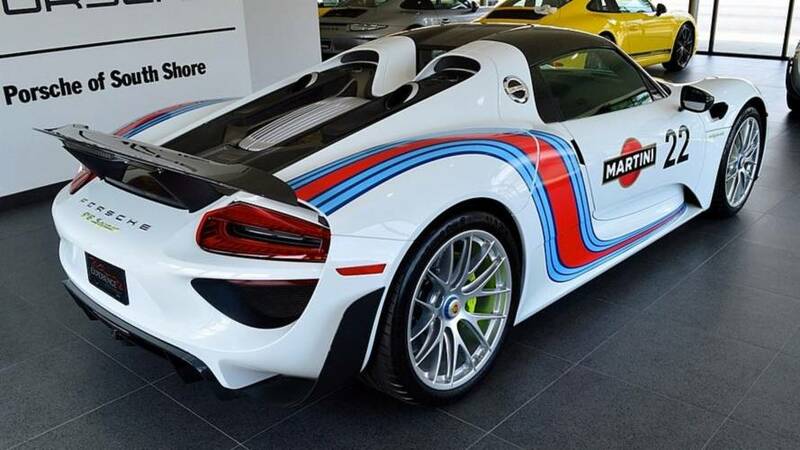 Paired to a lone seven-speed dual-clutch transmission and all-wheel drive, this 918 is capable of sprinting to 60 miles per hour (96 kilometers per hour) in just 2.5 seconds, and on to a top speed of 211 mph (340 kmh). Black leather coats nearly every inch of the cabin. The only two options here are the carbon fiber floor mats with silver piping, which cost a cool $1,725, and the painted key with a leather pouch, another $1,400. Lightweight bucket seats and a Burmester high-end surround sound system come standard on this trim. If you can swallow the $2.2-million asking price, this is one pretty Porsche. 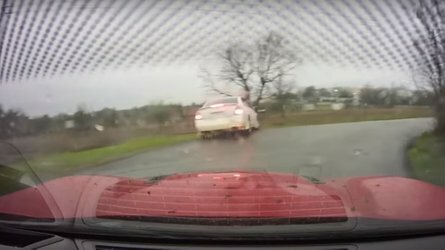 This content was produced on behalf of MotorGT.com and its partners. MotorGT.com and Motor1.com are divisions of the Motorsport Network.